Springer Plans - New Design Retains Old School Look! Our new springer plans are a brand new design that has an old school look but has a cutting edge feel. 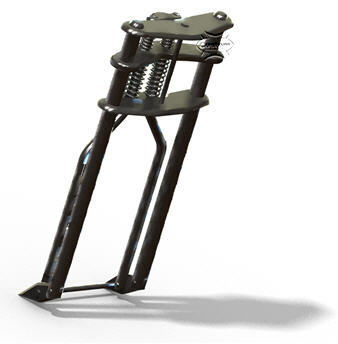 These springer fork plans will be a great addition to your next bike build or current project. Or, build them and sell them for a tidy profit! Springer front end plans are hard to come by. Good springer plans, that is. And we have the best plans on the planet, guaranteed. 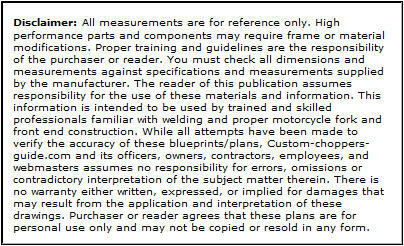 All of our plans are designed by our Senior Engineer and they are reviewed by a second senior engineer for accuracy. This set of plans will be printed and delivered 36" x 72" in size. 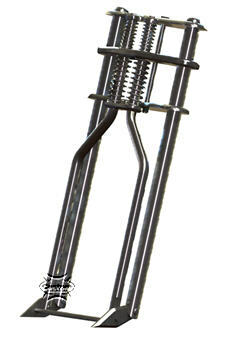 1.5" Side Tube Design with 1" fork diameter. Our springer blueprints are only $49.95 $29.95, and they are 36 inches by 72 inches! 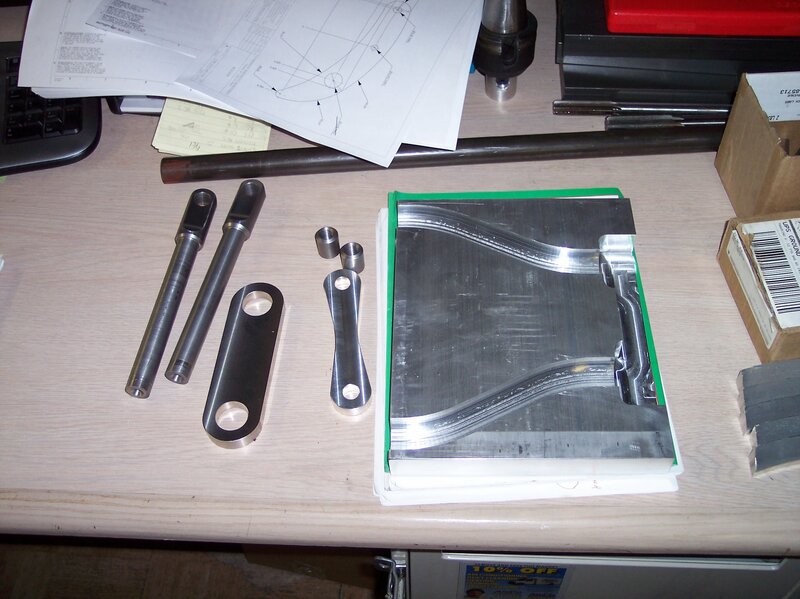 We used your plans several years ago to create the springer forks shown in the photos. 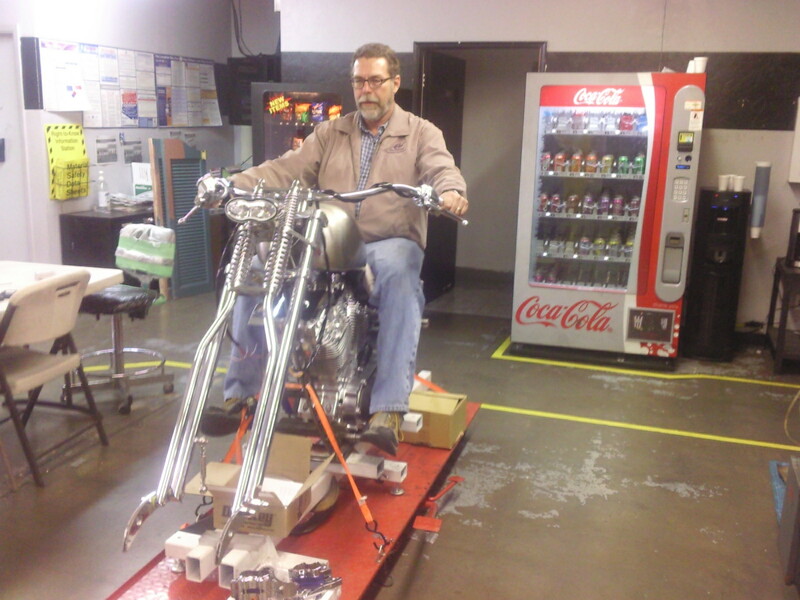 They worked very well and provided a responsive suspension and straight and true ride on the finished bike. We were pleased with the results. The advantage you'll have with this set of plans over any other set is that you'll get sectional views. Sectional views make all the bends and cuts easier to see and understand. You'll have an easier time reading the plans, and therefore your forks will be built much faster and with less headaches, if any. Your final product is sure to turn heads up and down the road! 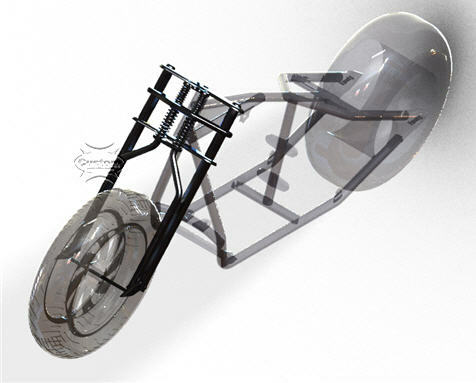 What Are Your Comments About Our Springer Design?